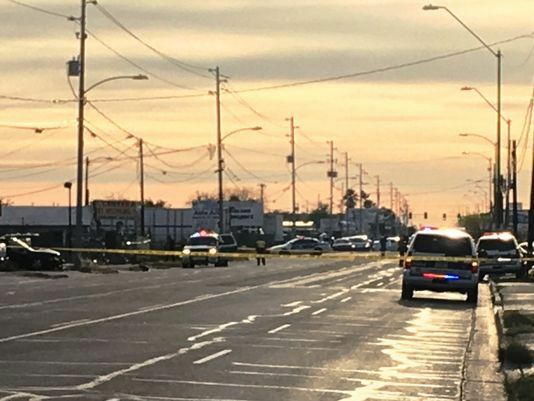 Phoenix, Arizona—Two children were hospitalized in serious condition Friday night when the driver of the car carrying them lost control and struck a roadside pole. The accident occurred on eastbound Buckeye Road near 28th Avenue. Two other children in the car sustained only minor cuts and bruises. No information is available regarding possible injuries to either of the two adults in the car. The driver of the car, Arlexis Gloria, age 28, was arrested and taken into custody on unrelated charges of possession of marijuana for sale. He remains in custody. No information is available regarding the relationships of the vehicle occupants to one another.